In the Caf Champions League first round, Nigerian champions, Enyimba FC will face Vital'O from Burundi while Warri Wolves will tackle Sudanese club, Al Merrikh. The only Nigerian Club left in the 2016 Caf Confederation Cup, Nasarawa United will face Algerian club, CS Constatine. The matches will. Take place in the weekend of March 11-13 .
also play through two more rounds and a playoff before they can feature in the group stage of the CAF Confederation Cup. 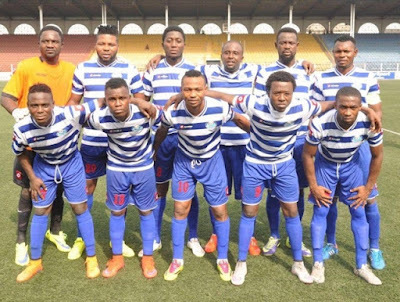 No Nigerian club has played in the group stage of any CAF organized club competition since 2012 when Sunshine Stars FC played in the semi final of the CAF Champions League.